It’s getting pretty chilly where I live, and I’ve been trying out different crocheted glove patterns. I really like this pattern by Crystal Palace Yarns! They’re really warm and comfortable. The only issue I have with them is that they can be difficult to get on and off, especially since single crochet doesn’t provide the most stretchy material. I made the blue gloves with Martha Stewart Merino in Igloo. 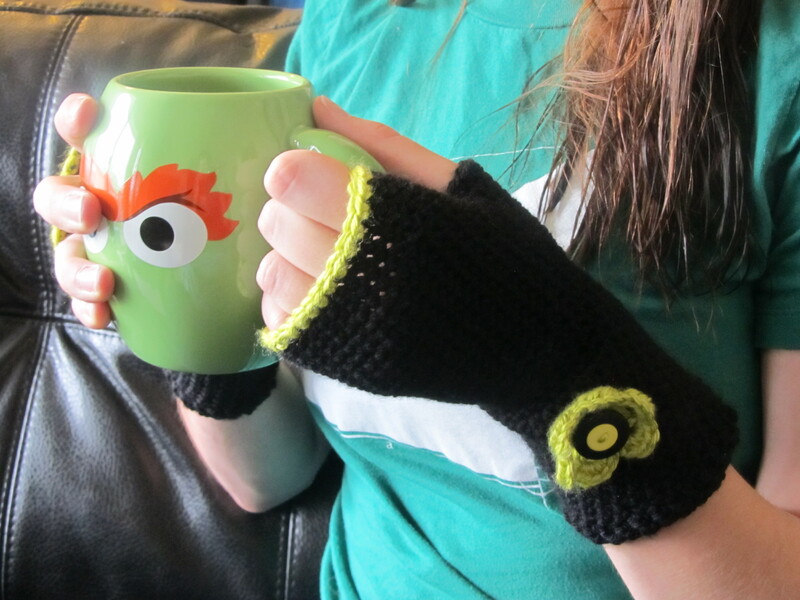 I made the black and green gloves using Bernat Satin in Ebony and Lemon Grass.